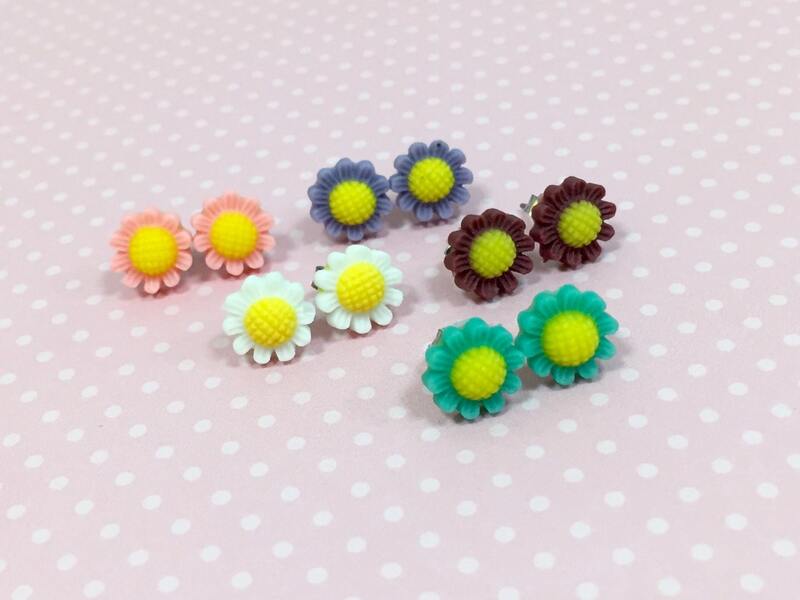 I used pretty little sunflower cabochons and stainless surgical steel ear studs to make these earrings. 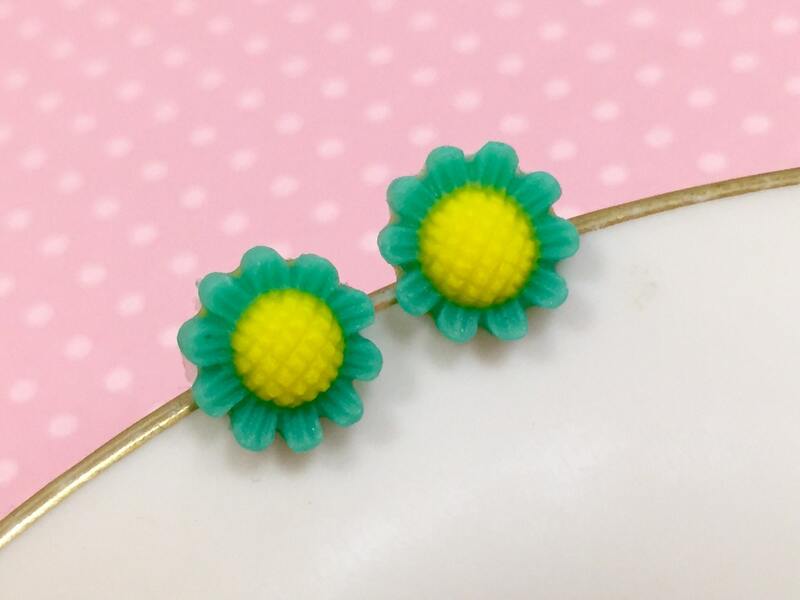 The flower studs measure about 3/8 inches (10 mm). As shown in the last photo, I have these available in a few different colors. 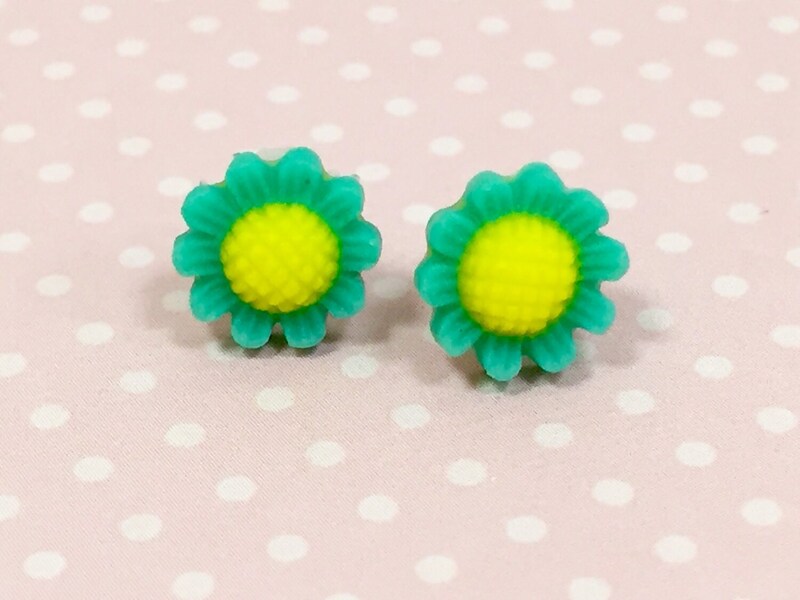 Please see my Flower Studs section for more options.